This is a Sponsored post written by me on behalf of AeroLife™ . All opinions are 100% mine. Making sure we stay at our optimum health can be tough with our busy lifestyles these days. Some days it’s hard to get enough sleep, then stay awake on too little sleep and make sure we’re getting enough nutrition to keep our immune systems healthy. Check out this AeroLife review to see if an air-based nutrition system can really help keep us feeling our best on those busy days. Price varies by product on the AeroLife site. You can also Start your free trial now – 12 pack of Watermelon or Raspberry. AeroLife is an air-based smart nutrition system that delivers powdered blends of vitamins, supplements and flavors. 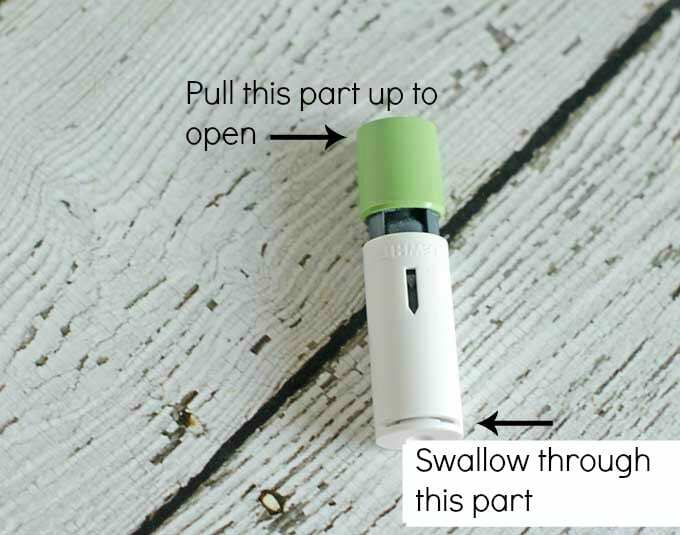 The particles in the powder are too large to go into the lungs and are instead designed to land on the tongue and be digested normally.The system was created by Harvard professor Dr. David Edwards and is patented and reloadable in a small easy to use and very portable device that works quickly. 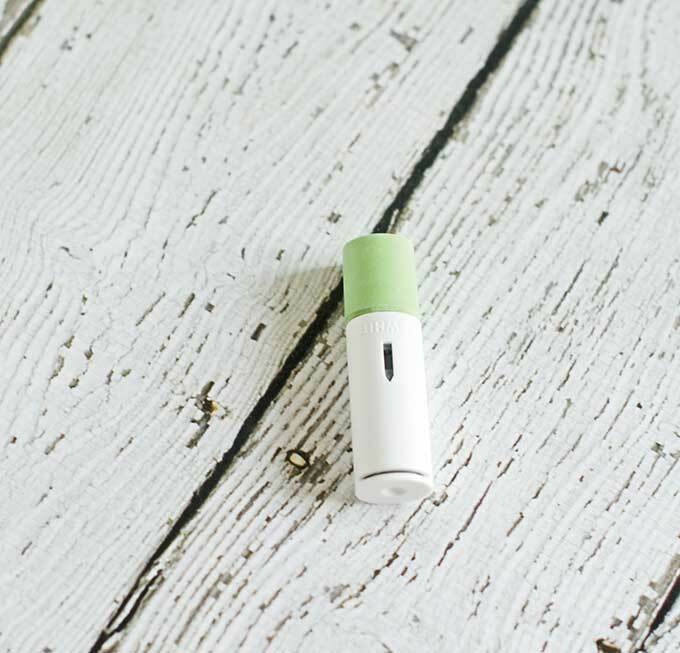 Each AeroPod is usable 3 – 5 times where you can completely control how much you use. AeroLife is available in a variety of flavors and is made to help with energy, immunity or helping you sleep. I’ve never been a super huge fan of energy drinks because of their high calories, high sugar content and sometimes questionable ingredients. However, sometimes you just really need an energy boost and it isn’t always practical to chug down a cup of coffee or huge soda. I’m also not a fan of bulky pills that can often be difficult for me to swallow. I still cringe to this day thinking about the doctor that made me take a pill when I was in the hospital with pneumonia as a child and I immediately gagged – all over her because pills have never been easy for me to swallow! So, when I heard about AeroLife being ready to use with multiple applications in a small lipstick-sized package, I was quite intrigued. Admittedly, I wasn’t sure about the medium being a powder. On one hand, I loved Pixy Stix as a kid, but would that sensation still be palatable? Luckily, as you draw in the powder, you can go as slowly and use as much or little as you want, so it’s really not bad at all. In fact, the flavors are actually quite good. So far I’ve been a huge fan of the energy boost in the mint flavor. I unfortunately quite often have bouts where I don’t sleep very well, or not long enough since I tend to be a night owl. Just the other day I had a lot of work I needed to get done, but all I really felt like doing was taking a nap. So, I pulled out the mint energy flavor and I literally immediately felt invigorated between the refreshing mint flavor and AeroLife ingredients. 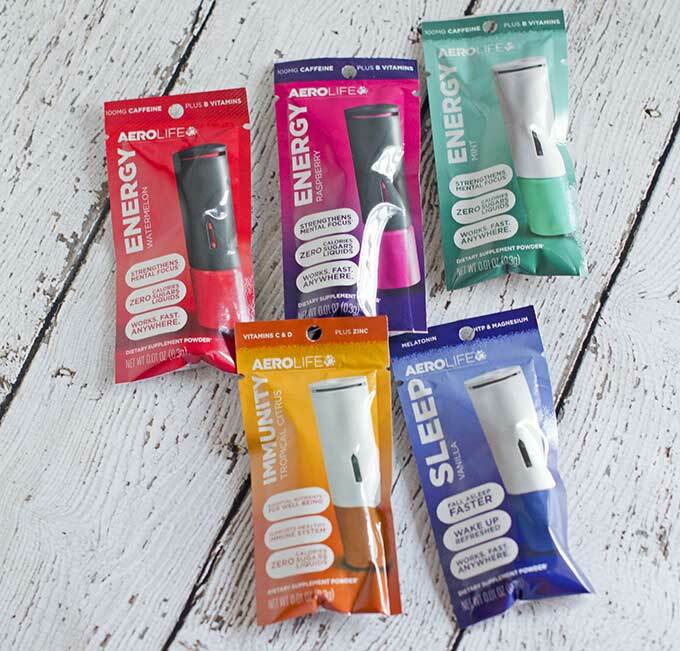 I love that AeroLife has both a variety that can help you sleep, and a variety that can give you boost of energy. Plus, I think we all take our immune systems into mind a bit more this time of year since it’s cold and flu season, so I can also see the immunity formula being quite helpful as well. Is AeroLife A Smart and Savvy Choice? AeroLife has worked exactly as advertised for me so I give it a 5 out of 5. I really do love that it is so convenient to keep around whether in your desk drawer, purse, pocket or car without fear of mess. Are you ready to start living the AeroLife? I have to admit that I am not sure I could do this…didnt it feel like an asthma machine? That is a unique energy product! Worth a try for those mornings after staying up way too late!! This looks really interesting. I am always looking for ways to get more energy but not consume a ton of calories. How unique!! I like that they offer a free trial! Thanks for sharing! That’s definitely an interesting concept. Sounds better than all these vitamin pills I hate trying to swallow. I’m honestly pretty intrigued by this. I just wish I could find it around here. Interesting! I have never seen anything like this before! I love that it can fit right in a small purse too! I needed something like this when I was working a bajillion hours a week as an accountant. You’re right, sometimes cola and coffee aren’t doable. This is one of the most fascinating products I’ve heard of in a while. Particles on the tongue… who knew?